Mrs. Martha Naeku and her children, humbly accept God’s will to rest their patriarch, Mzee James Shennah Ole Naeku. Mzee Naeku fought the good fight, finished the race and kept the faith. He passed on peacefully in the morning of Thursday the 26th day of April 2018, at his house in Nairobi. The late James was a loving husband of Martha Naeku for 56 years and a doting father of Diana and the late Stephen Twala, Eleanor and Eng. Ole Nchoe, the late Silas and Christine Naeku, Eric and Irene Naeku, Charity and Francis Meja, Lilian and Patrick Siparo, Catherine Naeku, Dorothy and Eliakim Maki, Timothy and Dr. Simat Naeku. James was the son to the late Kalool Naeku and Margaret Nadungu Enkop- Repongu. 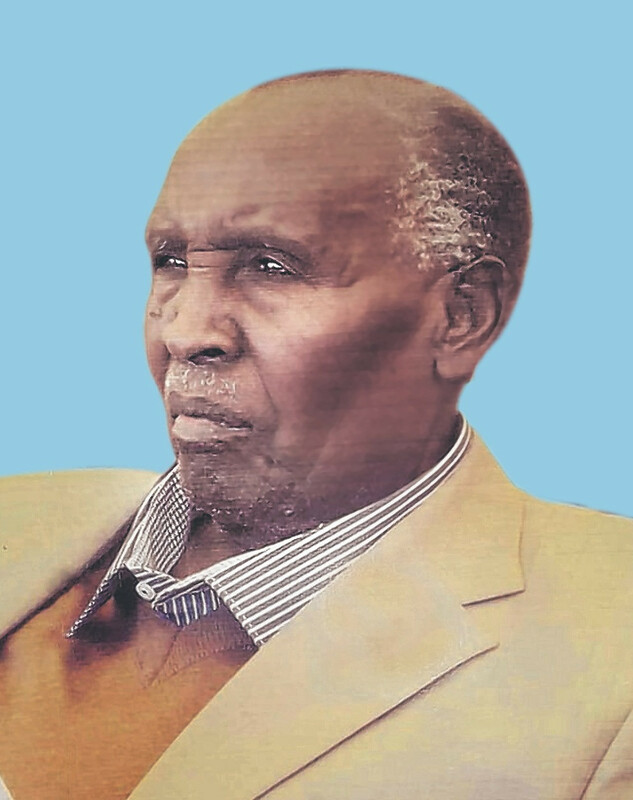 He was a brother of the late Reteti Ole Esho of Oloolongoi and a step brother of Pastor Ologolimot Naeku, Nailantei, Ndiyoine, David Tobiko amongst others. He was Son- in law of the late Mpaayei Ole Kinaiyia and the late Mariamu Nolngenjere Kerore. He was uncle of the Eshos and in- law of the Mpaayei’s. He was a guardian to Jane Kayioni, Josephine Nzioka, Janet Nakola, Grace Saiyua, Nasieku Topiar, Emily Naeku, Kuresoi Sankan, among others, and a friend to many. He had immense love for the 31 grandchildren and 12 great-grandchildren that he leaves behind. Friends and family are meeting daily from 5:00pm for prayers and funeral arrangements at his Olngenchemi (Rrotian) residence, Oltalet Mall in Narok town and at Charter Hall (City Hall) in Nairobi. There will be a funeral service to celebrate his life at The All Saints Cathedral, Nairobi, Today, Thursday 3rd of May 2018 between 12 Noon and 2 p.m. The Cortege leaves Lee Funeral Home (Nairobi), on Saturday 5th of May 2018 at 6:30am, for the celebration of his life and burial at his Olngenchemi (Rrotian) farm, along the Narok- Nakuru Road, from 10.30 am.